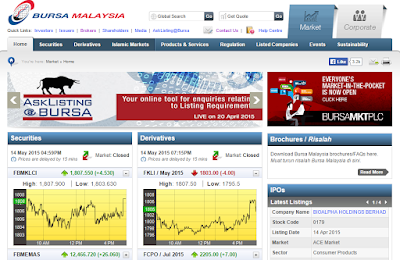 How to invest in the stock market Malaysia. SHALOM, entry this time is, I want to give a tip of how to invest in stocks online. This stock is extremely popular in Malaysia and very easy to invest. If you know how to invest in the stock market, you will make a profit. Most investors in Malaysia are made up of businessmen and VIPs. Through my observations, most Chinese people investing in the stock market and most of the local people are very less to invest because there is no disclosure of knowledge about how to invest. What I describe here is not about how to read the market, but on how to invest in the stock market Malaysia. Earlier, the stock exchange is known as Kuala Lumpur, Malaysia Stock Exchange (KLSE) and now known as the Bursa Malaysia and office center in Kuala Lumpur. The stock market is open every day Monday to Friday starting at 0900 am to 0500 pm. The stock market has plenty of shares traded per day, the most popular stocks are like Nestle, Celcom, Maxis, Dutch Lady and much more. How much capital to invest. In fact, the amount of money to be invested depends on ourselves. You can invest starting price RM 100, 1000, 10,000, but it depends on the stock price per unit. If one has the stock prices are low, you may only spend less money on your investment. My advice, to start investing in stocks, invest the small amount of investment, if you are adept at playing the stock, then you start with a large investment. Make sure before buying shares, you must take into account other costs such as brokerage fees, stamp duty, clearing fees and GST. How to choose an investment broker in stock. With stock investment in Malaysia, you must choose the selected broker and registered with the Securities Commission Malaysia (SC). I remind you, do not choose a private broker cheated because of the risk to be very high. Most stockbrokers in Malaysia consist of local banks such as Maybank, RHB Bank, Affin Bank and many others. To see a registered broker, you can look here to see a legitimate broker. If you have chosen a broker to invest, for example, you select, the broker of RHB Bank. Came to meet with brokers and do not be shy to ask about everything. For example, ask about the market, the Commission, a number of withdrawals, GST, clearing fees, stamp duty, how to buy, how to sell, close the account and brokerage fee. The broker will help you completely and you will be answered every question fully. 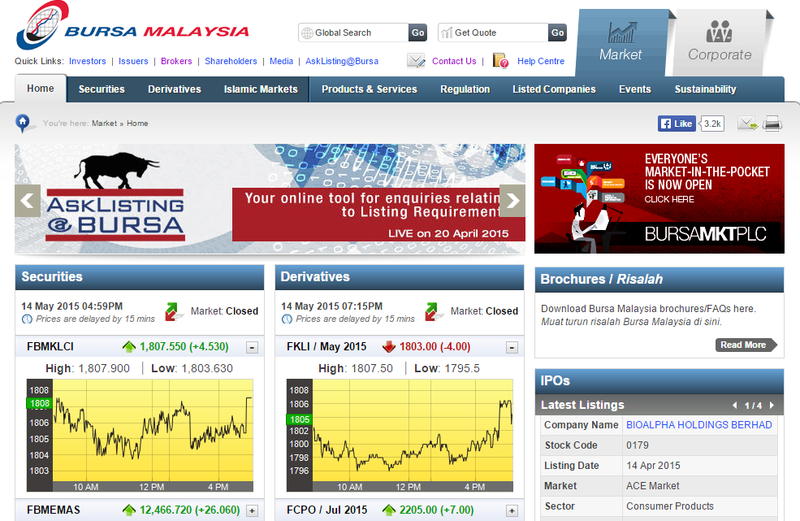 How to properly invest in the stock market Malaysia. In my opinion, if you invest in the stock market, do not think of short-term profits as you expect a profit every month the results of this investment. If you want a monthly income from share investments, I have no other way to advise you for the most successful investors in the stock Malaysia, investing in the long term, for example, investing in six months to a year or more. It really depends on the stock you buy, if you buy the stock price rose sharply in the first six months you invest, you will gain an invitation to sell all your stocks. 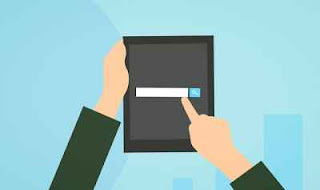 You must set some strategies before investing, for example, you must recognize the strength of a company in the choice to buy shares of the company, factors that affect the value of shares, through the investment process, control of emotions, the analysis before investing and the most important weapon is your knowledge. If you do not have the knowledge to invest, you will suffer huge losses. I am writing this is just basic knowledge to invest in stocks online. Many people are afraid to invest in these investments, they think this is very risky investments to lose money, in fact, this is the safest investment and a very low risk for the loss if you are smart to invest. If you buy the stock price has declined, not to sell the shares because it would hurt you. The stock will go back up slowly. Like I'm saying before, you must be patient and Invest in one year and above and beyond that. Investing in certain periods will benefit from your stock investments.